High up in the mountains of Taiwan is a forest filled with old world charm and mystic atmosphere. Featuring sacred trees, zen spaces, green valleys, world-class sunrises, Japanese-built trains, and seas of cloud hugging high-altitude peaks, the Alishan National Scenic Area is a must-visit destination when planning your trip around this island nation. As a top tourist draw since the 1920s, hoards of Chinese tourists come here virtually everyday but you’re in for a treat if you decide to come up to Alishan on your own. The truth is though, planning a trip to this recreational forest isn’t necessarily the easiest. Part of it is because of the lack of English information and the other part is that there are simply many methods and steps to get to the top. That’s why I’ve put together this Alishan travel guide in Taiwan to help you out. Visiting Alishan on your own doesn’t have to be hard. It just requires a bit of homework. What I want to show you is that it doesn’t have to be as complicated as it sounds and venturing to Alishan on your own doesn’t have to be hard. There’s a lot of information packed here so I’m including a Table of Contents to make it easier to navigate. First of all, there are a lot of names that are thrown around. There’s just “Alishan” but there’s also “Alishan National Recreational Forest” and there’s “Alishan National Scenic Area”. All of them reference the same place but give you a bit of a clue about why it’s not as simple as being one mountain. Inside this scenic area are the 5 wonders but we’ll get to that a little bit later on! So how did this area develop? During the Japanese occupation period of Taiwan, there was a massive logging operation here and in order to transport the wood down the mountain, they managed to build an impressive narrow-gauge train and along the way grew many small towns. Do you want to do the sunrise? Do you want to take the Alishan Forest Railway? These are all important to think about because the nature of the logistics will dictate how your itinerary looks like. Why? [Fact 1] If you’re doing Alishan on your own, it would be very challenging to do Alishan in one day. Even if you tried, you’d be throwing the sunrise out the door and you’d only have enough time to do the forest trails. There are a day trips that run from Taipei but I’d imagine it would be the same problem. [Fact 2] If the sunrise is important to you, you’ll need to stay overnight. With that, you’ll need to think about buying your sunrise tickets beforehand and figure out transportation to the Alishan train station. [Fact 3] Is it an absolute must to take the Alishan Forest Railway? If so, this will dramatically change your schedule as the train only runs once a day on most days. Now stow these away because that’s where all this information below comes into play. There are several ways up to Alishan but these are the most common and preferred methods. Aside from the sunrise, this is the most popular and preferred option to get up to Alishan. As quite the feat of engineering in 1912 for the purposes of logging, it is a major attraction due to its history, authenticity, and scenery as it winds its way up. Once upon a time, this railway went all the way from Chiayi to Alishan however due to the typhoons of 2014, the section between Fenqihu (also spelled Fenchihu) to Alishan were damaged beyond repair and have since been left that way. That is why the Alishan Forest Train only goes up to Fenqihu station. To book your tickets online yourself, you’ll notice that the website is complete in Chinese. What I’ve done is taken a screenshot of the translated page you need to get to in order to make it easy-peasy. For train number, go to the official railway schedule to find out which one you want to take. Now if you’d like someone to do this for you, I recommend you reach out to an English tour operator like MyTaiwanTour and they can get you sorted out end to end. Coming from Taipei – If you haven’t realized it yet, if you’re determined to take the Forest Railway, you’ll need to wake up very early. There are number of trains that run through Chiayi in the morning so make sure you book accordingly. Use thgese nifty train schedule search pages in English for the high speed train or standard railway so you can book your train tickets online. There are multiple stations in Chiayi – There’s the Chiayi THSR station which is for the high speed rail. However, the Alishan Forest Railway Train departs from Chiayi Railway Station (TRA) . There’s a shuttle that goes back and forth (7211 or 7212) and takes 30 minutes. This bus is part of the Bus Rapid Transit (BRT) system and is located on the rear side of the station so you need to take the pedestrian bridge to cross to the other side. The schedule is subject to change but they start running at 6:05AM and is every 20 minutes. In a pinch, you can also hail a cab (approx NT $400). Stay in Chiayi – For a drama-free morning, I would recommend staying in Chiayi which also puts you near the railway station. Only to Fenqihu – I’d like to reiterate the fact that this train only takes you up to the town of Fenqihu where you’ll need to catch a bus to the National Recreational Forest. Read how to get to Alishan from Fenqihu. As much as I would have loved to have done the Forest Railway Train, we just didn’t feel like waking up that early and rush to make a 9AM train. Okay let’s jump into the two different lines that they’ve created up to Alishan and what’s the difference? Line A – Tourist Shuttle Bus from Chiayi THSR (Bus 7329)is essentially the bus to Alishan from the high speed rail station. This is going to make the most sense for anyone coming in from say Taipei, Kaohsiung, or Taichung. Exact change only if paying by cash as no change is provided. The only bus that stops in Fenqihu is the 11AM one. There was quite a bit of construction at the THSR station and the stop is hidden behind a temporary construction wall. We just asked the info desk where it was and they were able to direct us. Line B is an alternative bus that leaves from train station that’s in downtown Chiayi. This option only makes sense if you’re staying in the city or for some reason you missed the Forest Railway Train. This bus is also more frequent than Line A and faster. The only buses that stops in Fenqihu are at 9:35AM and 12:05PM. There’s also a limited 7302 bus that goes up to Fenqihu from the railway station in Chiayi. It only runs twice a day (7:05AM and 3:05PM) but could be an option if Line A or B don’t work out for you. There’s unfortunately not a lot of information on it but I presume the bus works like the other lines. What you need to consider with the 3:05PM bus is that if you take it, you will not make the connecting bus up to Alishan so only take it if you plan on staying in Fenqihu overnight or you’re going to take an alternative form of transportation once you’re there. This is a take-at-your-own risk option as I don’t have experience with these but when we were waiting for our bus at the THSR station, there were random cars that drove by offering direct car rides up to Alishan. One guy offered to take us for NT $300. TIPS: Brace yourself for a very windy and nausea-inducing bus ride. I would suggest taking something for motion-sickness if you get it easily. TIPS: If you’re travelling with a lot of luggage and you don’t need all of it in Alishan, think about leaving some of it behind at the storage lockers in the Chiayi THSR station. If your schedule allows, I recommend spending some time in Fenqihu even if it’s only to have lunch at the bento box restaurant. In Fenqihu, you’ll also find the Forest Railway Museum which chronicles the history of the trains and equipment that have been used over the past century, and also an old street which is great for snacks, similar to Jiufen. From Fenqihu, there are two busses that you can take to finally get up to Alishan. This is essentially the connecting busses as part of Line A or B (Bus 7329/7322). Located near the entrance to the Forest Railway Museum, you can buy a ticket when you board the bus. This bus will drop you off at the bus terminal of Alishan which is just outside the park. I don’t have too much information about this but from my research it looks like there are high frequency buses that go from Fenqihu to the town of Shizhao. The bus ride to Shizhao is 15 minutes and from Shizhao it’s another 45 minutes to Alishan. Payment – To pre-purchase tickets in Shizhao, look for the Hi Life convenient store and in the noodle shop next door, you can use your EasyCard to pay. If you manage to get tickets for the Alishan Forest Railway, this is what your trip will look like. The following chronicles the exact steps that we followed. National Park Entrance – Walk to the entrance gate and pay the fee – $300 TWD per person. Walk to Alishan train station – I would recommend coming here to buy your sunrise train tickets which are only sold between 1PM – 4:30PM. If you know that your hotel sells sunrise tickets as well, you can skip this step. Transit to your hotel – This is specific to Alishan House but we had to ask locals where we could get a shuttle ride to the hotel. We learned that pick up was by the visitor centre and got there just in time for the 3:50PM shuttle. There are a number of accommodation options in Alishan. Each is tailored for different budgets and has their pros and cons. Here are 4 different options that you can choose from. My recommendation would be to stay inside the park if you can afford it as it saves you the hassle in the morning for sunrise as the shuttle ride is included and so you don’t have to wake up that early in the morning. This is officially Alishan House despite being called Alishan Hotel in other places. This is perhaps the nicest property on the park with incredibly large rooms, fabulous breakfast, and access to the observation deck. This hotel is located only 10 minutes walk away from the Alishan train station and is also nearby all the small restaurants there so it is quite convenient. Similar to Dafong, this is located by the Alishan train station which makes it convenient but is slightly cheaper because it is a bit older and rooms are smaller. This Japanese-style homestay is located outside of the park but is affordable, has super friendly owners, and offers in-house tour packages. Now that you’ve gotten to Alishan, how do you plan your time here? When I first started planning my trip here, I had the impression that the park would be massive and that I would be forced to pick maybe one or two trails to do. I think it has to do with me coming from Canada and being used to the kind of national parks where you have to drive from place to place to see. The truth is, the Alishan National Recreational Forest is very manageable as far as a park is concerned and also quite do-able to do close to the entire thing in a day. Once you get dropped off the Alishan bus station, there are a couple of things you’ll need to do. Since the bus station is outside of the park, the first thing you’ll need to do enter the park by walking to the large entrance gate and pay the fee which is NT $150 per person. From there, you’ll need to walk around 200 meters to get to the Alishan Station. I would recommend coming here to buy your sunrise train tickets which are only sold between 1PM – 4:30PM. If you know that your hotel sells sunrise tickets as well, you can skip this step. The last step is to get to your hotel to drop off all of your stuff. Find out where your hotel’s shuttle pick up service is. For us, Alishan House specifically did pickups from the visitor center. Remember the 5 wonders of Alishan I mentioned? So what are they? These will be your guideline to how you end up planning your time here but how exactly does that look like? That’s great and all but what is the best way to see the entire scenic area? If you have two days in Alishan like we did, here’s what I recommend you doing. If you take a look at our 12 day itinerary through Taiwan, you will find out that the fog was really heavy when we first arrived in Alishan. While we had thoughts about starting one of the trails, we were also advised by our hotel receptionist at Alishan House, that it wasn’t worth it to head out and that we should just use the rest of the day to settle in and take advantage of the observation deck of the hotel to catch a glimpse of the sunset. The observation deck didn’t disappoint and you’ll see from Episode 2 of the 12 Days in Taiwan Series that I got a chance to watch the sea cloud flow in and up through the mountain valley as if it were soup filling up a bowl. I also liked the idea of not rushing things as we had an early start ahead of us. The second day in Alishan is when everything happens. There’s the sunrise but then also there’s the rest of the forest trails to explore. The big question for me and I am sure for you is, “how the heck do I plan my day?” Again, Alishan House reception was able to set us straight and recommended an optimal route. Here’s what that optimal route looks like broken into 3 distinct parts. This should also give you a sense of why we saved so much time by staying at Alishan House. This loop can be done in as quickly as 50 minutes but at our pace, it was just over an hour. I will say that this was all quite do-able in just over half a day. This came as a surprise to me because on the map it looked so expansive. I am proof that you can do the sunrise, walk both loops, and still be ready to catch the bus back down at 2:20PM. It’s worth noting that this itinerary works perfectly for Alishan House but if you’re staying near Alishan Station or outside of the park, you may want to do things differently. If you watch Episode 2, you’ll see that I talk about the “Alishan Triangle” and the recommended route according to the park. This means that you have to purchase train tickets from Alishan Station to Zhaoping, followed by Loop #1 and Loop #2 as labelled in the map (these will have to be two separate loops as long as the Pond-shore Boardwalk is closed) and then take the train back to Alishan Station from the Sacred Tree. This seems to be the most popular route for visitors. The trains are also frequent enough where you should be able to catch them as you’re hiking through. As one of the top wonders of Alishan, this is kind of a big deal and to miss it would be a bit of a shame. That said, there’s no guarantee that you’ll see it but it’s still worth the attempt if not for taking the old forest train and watching the mountains and clouds come alive. Purchasing tickets is the first step. This can be done by either going to the Alishan train station first thing when you arrive as I recommend or buying it at your hotel if they offer it (Alishan House does). If purchasing at the station, keep in mind that they only sell tickets the day before and you have to do it between the hours of 1PM and 4:30PM. This is also when they announce the sunrise time which should allow you to plan your transportation opens if your hotel doesn’t provide a shuttle. While your experience will likely be a little different depending on the time of the year, here’s a step-by-step walkthrough of exactly how our sunrise went down. Pay attention to the giant sign by the stairs as this will give you information about when the sunrise is and when the last train is to head back down. TIPS: When the hotel tells you that the sunrise shuttle rides start at 5:10AM, it actually means that they start running 15 minutes prior. When we showed up promptly at the posted time, there was already a long line and it clearly looked like they had already started ferrying people over. As a result, we were pretty much the last ones out of the hotel. TIPS: The location of the sunrise depends on the time of the year. During the winter time, sunrise is more towards the right side of the viewing area and in the summer, it’s towards the left. To find the best place to stand, look for the Taiwanese guy sitting on a stool yelling to the crowd. We weren’t sure if he was a park ranger or just some local crazy guy but he points out where the best viewing angles are. TIPS: For photography, however, I did find it challenging to shoot the mountains from the platform because smack in the middle is a tree. You have to make a call whether you want to include the tree in the composition or frame it in a way that takes it out. I did find that the left side of the viewing area is less obstructed but since we didn’t get a sunrise, it’s hard to say for certain whether that’s the best place to stand or not. TIPS: Worried you’ll get hungry while watching the sunrise? Don’t worry, there are food stalls along the left side of the viewing area including things like hot soup and fish balls. Just as with the ride up to Alishan, you have to pay careful attention to the bus schedule and plan your time in the park accordingly. There are the same 3 options to go back down as there are to go up so let me break it down. I’ve heard that taking the train downhill is the lesser of the two directions for the train because it is less scenic. That said, if you missed taking the train up, going back down by the Forest Railway may be something you want to look into. Booking – As with uphill, downhill books out just as fast especially during high season. Refer to booking instructions earlier in the article. Remember, this train starts from Fenqihu so you still need to get from Alishan back down. What makes taking the train a challenge is that only one tourist shuttle bus can get you to Fenqihu before 2PM and that’s the 10:10AM Line A bus. This means that you are cutting your Alishan exploration extremely short. Alternatively, you could look into taking a cab to try to maximize your time. Similar to going up, Line A and B work the same way going back down. Line A will take you back to the Chiayi THSR (high speed rail) station and Line B will take you back to the Chiayi TRA (regular railway) station. Refer to the photo I took of the schedule earlier for the exact timing. For us, since we had pre-booked a train to Kaohsiung for 4:55PM, the only shuttle bus that made sense for us was the 2:20PM one that arrives at Chiayi THSR station at 5:10PM. Regarding the bus, the steps are slightly different when it comes to reserving and paying so pay attention. Bus station – To get to the bus stop, remember you have to get out of the park and to the station you arrived at. The shuttle bus driver at Alishan House was nice enough to drop us right at the station but if that isn’t possible, walk towards the entrance gate and from there it’s only a 5 minute walk away. Buying and reserving bus tickets – Once you get to the station, go inside to the waiting area and adjoining 7-11. Look for the special cashier counter for bus tickets. Whether you’re using EasyCard or cash, you have to go through this step. With cash, you pay and you get a paper ticket. If you’re using EasyCard, you tap and you get a slip of paper that says you’ve already prepaid. This is especially critical during high season because there are limited seats on the bus. It wasn’t much of an issue for us since our bus was less than half full but I can see there being confusion here if nobody tells you what’s going on. We didn’t see too many hustlers while were in Alishan but I’m sure if you go to the Visitor Center, you’ll be able to find these drivers or cabs to take you back down to Chiayi or Fenqihu. So there you have it, an uber guide on Alishan. It honestly sounds more complicated than it is but I can totally see it being a bit messy especially if you don’t speak Mandarin or can’t read Chinese. If you have any questions as you’re planning your trip, don’t hesitate to drop a comment or reach out personally. Always happy to help! Where Else Are You Going In Taiwan? This trip wouldn’t have been possible without the Taiwan Tourism Bureau so hats off to them for coordinating a lot of the behind-the-scenes logistics and recommending spots like Alishan for us to explore. All opinions here are my own of course! That’s so awesome! I’m glad it worked out for you and the guide was helpful. How was your luck with the sunrise? And oh my gosh it’s the same guy right?? We really lucked out, the weather was super clear so we caught the sunset AND the sunrise. Plus we were able to get the best angle, thanks to that guy’s helpful directions lol. But for real, I’m not sure we could have managed the trip so smoothly without your guide, so thank you! Hi! May I know how did you book the tickets for the bus ride from THSR Chiayi to Alishan? We didn’t book the bus in advance. For us in December anyways all we did was line up at the bus stop, we paid the bus driver using our easyCard (or cash if you watch our video lol), and that was it. The bus was relatively empty. There’d be no way to book in advance in any case so lining up is really your only option. I used your blog as my guide for my family trip this april. It was very helpful. You may have to update the Alishan ticket price as we were charged 300NTD for each adult and 150NTD. This maybe because we didnt stay inside the park. Thanks! Hi Joy, thanks for dropping a comment here. Since you’re travelling solo and spending only 3-4 days in Taiwan, I think your best bet is to base yourself in Taipei and spend your time exploring the city (easily 2-3 days) and another day trip or two that fits your interests (sights, temples, tea, hiking, markets, etc.). Yehliu Geopark and Tamsui District are great places to pick from. We are also planning to visit Alishan this March. Could we ask for help on how do we plan our trip from Chiayi to Alishan? We arrive in a hotel in Chiayi at night and we would like to see the sunrise in Alishan the following morning. Will this be possible or is it better to stay a night in Alishan? Hi Angel! If you’re hoping to see the sunrise in Alishan, you have to be on the mountain the previous night. Alternatively you could see if there are any companies willing to drive you up really early in the morning but I have a feeling that service doesn’t exist as those roads are quite windy. Your best bet is to get up the next day, stay the night and then do the sunrise the next morning. I was wondering… does the luggage storage in Chiayi THSR or Chiayi TRA has the big locker for a 7kg luggage? Hey Riri! I’m glad you found this helpful. When I did my trip, I was so confused so that’s why I put all of this content together. I’m not sure if you watched my YouTube video from my series but if you jump straight into this (https://youtu.be/0kx0Vh7dSoc?t=3m33s) you’ll get a quick glimpse of how big the locker is. Unfortunately I don’t have specific specs but hopefully that gives you a good idea. Im currently in Taichung and will visit Alishan in the next2 days. I hope you can help me with the least cost of transpo (basically what type of transpo to choose). The easiest and cheapest way would be to take the high speed train to Chiayi. From there take the bus all the way up to Alishan. Likewise, you can take the train all the way down. Wish to watch sunset sunrise n ride in the Alishan forest train. That’s great to hear! Sounds like you have a great trip lined up. If you have two nights stay at the Legendary B&B, you should be able to do all 3 things. Sunset on the first night there or the second night and sunrise your first full day in Alishan + taking the forest train within the National Park and up to Fenqihu or back down to Chiayi. Lots of options with 2 nights. Thank you for this! My friends and I are going to Alishan on January 12th. Unfortunately the Alishan forest rail going to Fenqihui is fully booked so we reserved for the other way around back to Chiayi. I’ve watched your vlog so many times then I found your blog here. Those are very best video with the clear explanation from you. Could you give me advice for the best itinerary 4D3N please..
Hey! Thanks for watching the vlog and I’m glad you found it helpful. Awesome to hear you’re headed to Taiwan as well. Are you looking for an itinerary for all of Taiwan that’s 4D3N or just Alishan? Hi, Will. Thank you so much for all the lovely info about Alishan. Going there March 2019. Still thinking of staying a night or not. I love the photo that you shown and also the video too. Hope I can take the beauty of Alishan like you. A bit confuse about the bus ticket from chiayi to Alisha, need to do homework for that. You’re welcome! If you have any additional questions just let me know. The bus ticket from Chiayi to Alishan isn’t too bad – I too felt a bit confused before going but once I figured out where to stand for the bus stand and with the card in hand, it was an easy tap in and out. The rest of it will be around knowing the schedule and how you can connect it with the train. Best of luck!! HI Will, loved your post. Im planning a trip soon, but I plan to do it in a day, and I was looking at the earliest time. And I wanted to try to get at the 9am train. I have a THRS booked. YOu recommended that to get to CHiayi THSR to CHiAYi TRA, I could do the 7211 bus. As you stated, it should only take 30 min. But according to Google, It would take 1hr40min. This puts a damper on my plans of going up the train line. Maybe they’ve added stops since your visit, or is the timetable on google dependable? Thanks for the big help with the article. HI Will, like your post very much as it’s very detail and informative. I’ll be heading to Alishan on 10 Jan 2019 spending a night there. Will check out the hotels in your post. Have an amazing time! Thanks for reading and if you have any other questions just let me know! Hi, thank you for the very informative post. I need one more information regarding the bus ticket from Alishan to Chiayi. You said that the ticket is purchased from the Bus Station (outside the entrance park), I note some say that the ticket is purchased inside the 7-11 Store inside the park (bus stop-parking area). Could you please advice? Thank you. Yes you’re right – it’s in the Bus Station and at the 7-11 inside, you’ll be able to purchase your ticket from Alishan to Chiayi. I wrote the full details of where it is in the post. Thank you for sharing all these valuable information. We are planning to take an early train from Tainan to Chiayi TRA and catch the forest train to Alishan, then back to Chiayi on the same day. But I’m not sure if it makes sense for us to head to Taichung after that to stay a night. Also, do you happen to know if there’s luggage storage the Chiayi Station (TRA)? I read that the service is available at Chiayi HSR but cant find much info on Chiayi TRA. Hey! Thanks for dropping a comment. Yes it’s possible to do it as a day trip but just keep track of the time, and know the train schedules. It’ll be a little rushed but do-able. You could try to catch a train to Taichung after as the train runs into the evening so you could do that as there isn’t THAT much to do in Chiayi and you have to deal with the transit from the train station into the city etc. Since you’re already at TRA, you might as well hop over to Taichung. Thanks for writing up a great post on visiting Alishan. This is even better than the English version of the actual Alishan website. It seems like it wasn’t too crowded when you visited. You’re welcome! Yeah to be honest when I was doing research, I was so confused and I needed to poke around the Internet quite a bit and ask locals to figure out how to plan the whole thing. And yes when we went it was beginning of December which you could say is the low season. Thank U for your post. I want to travel in Alishan in next 2 months. And Your post help me alot. 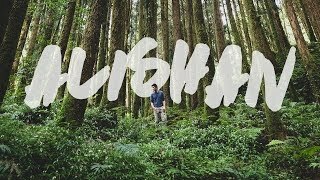 Thank you for your ultimate guide to Alishan. It really helps. Alishan Forest Railway Train, which is from Chiayi Station to Fenqihu Station, is be cancelled from twenty sixth of February (2018/2/26) to the end of June (around three months). Is it true? Does it means that no train is going to operate in these 3 month? Hey I just took a look and you’re right it looks like they’re shutting down for 3 months to fix up the track, maintenance and maybe even open up the remaining part of the line that’s been closed down since the earthquakes. That’s too bad BUT if you’ve read our post, there’s an equally easy method to get up to Alishan using the bus so you should be OK. The trains once you’re IN Alishan are all still running.